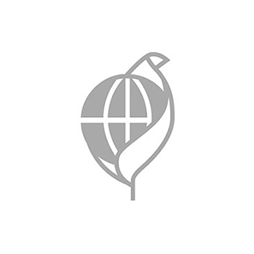 FSC is an international non-profit label for wood and paper. If a forest is FSC certified the cutdown is limited to the amount the forest can reproduce. FSC ensures protection for animals and plants, along with a guarantee for education, safety and fair wages for forest workers. GOTS is a certification awarded to textiles made of organic fibres, which from harvest to the final material is produced in an environmentally and socially responsible way. The GOTS certification is achieved if a textile contains at least 70% organic fibres, where dyes and adjuvants must meet certain environmental and toxicological criterias and where all water processing units must have their own waste water systems. All manufacturers must comply with the minimum standards of social responsibility and all production units must have a written environmental policy. The Green Mark Program is an official voluntary eco-labeling program in Chinese Taipei which was founded in 1992 by the Environmental Protection Administration (EPA), aiming to encourage environmentally sustainable production and consumption. To receive the Green Mark certification, products must go through an official verification process, which ensures that the production methods are sustainable and comply with certain standards. These standards include recycling, resource saving and minimizing environmental pollution. ISO9001:2015 is a certification awarded to companies who comply with the criteria of the ISO quality management system. The ISO9001:2015 management system helps the factories and their employees assuring the quality of their products to their customers. Quality assurance is beneficial for both customers, who enjoy products of consistently high quality, and the factories that benefit from the returning business of satisfied customers. ISO14001:2015 is a certification awarded to companies who complies with the criteria of the ISO environmental management system. Using ISO 14001:2015 can provide security to the company’s management and employees. The standard criteria includes, that the company undertakes compliance with relevant environmental laws and regulations, prevent pollution and continously improve its environmental performance. Oeko-Tex is an international standardized certification which ensures textiles in individual products does not contain harmful substances. All materials in the textiles are laboratory tested for harmful chemicals. OHSAS 18001 is an Occupation Health and Safety Assessment Series for occupational health and safety (OH&S) management systems. It is intended to help organizations to control occupational health and safety risks. OHSAS 18001 helps assuring and improving working conditions for working men and women all around the world. By implementing, maintaining and continually improving an OH&S management system, organizations can make sure that the working conditions for their employees are at a certain standard, and that the employees are properly instructed in workplace safety and hazards. REACH places responsibility on all manufacturers and importers of chemicals to identify and manage the risks that those substances which they manufacture and market may pose to human health and to the environment. With the certification REACH companies get more basic knowledge about the environmental and health hazardous properties of chemical substances and greater independent responsibility to handle the chemical substances properly. The basic responsibility for obtaining knowledge about the properties of the substances and the risks associated with their use are given to chemical manufacturers and importers. In addition, demands are made for more effective communication between suppliers and users of chemical substances. In the long run, REACH advocate that the most hazardous substances should be substituted with less dangerous ones. 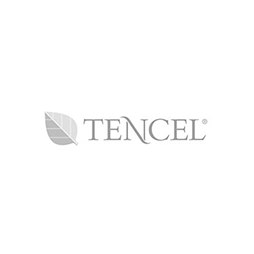 TENCEL® is the trade name of the Lyocell fiber from the Austrian company House of Lenzing. Tencel is a recently improved version of the generic fiber Lyocell. According to Michael Quinine Month, spokesman for Lenzing Fibers, the material composition should contain at least 30% Tencel for the entitlement to use the name Tencel instead of Lyocell. World Fair Trade Organization is a global network of organisations who represents Fair Trade through the entire supply chain. WFTO believes that the trade must be to the benefit of the most vulnerable and provide sustainable livelihoods by developing opportunities – especially for the small and disadvantaged suppliers.